Super Bowl LI was historic, but so was the 2017 Puppy Bowl. Here are our 10 favorite moments from the cutest game on earth. Hours before millions tuned in to watch Super Bowl LI, the real big game took place at Geico Stadium, where Team Fluff and Team Ruff battled for the Petco Lombarky Trophy. Here are the best ten moments from Puppy Bowl XIII—a historic 93-38 landslide win for Team Fluff featuring a dominant MVP performance (move over, Tom Brady). Team Fluff got on the board early as Rory deftly avoided his opponents — as well as the tempting water bowl — to gain a 7-0 lead. After back-to-back losses in the Puppy Bowl, Team Fluff looked ready for a long-awaited victory. 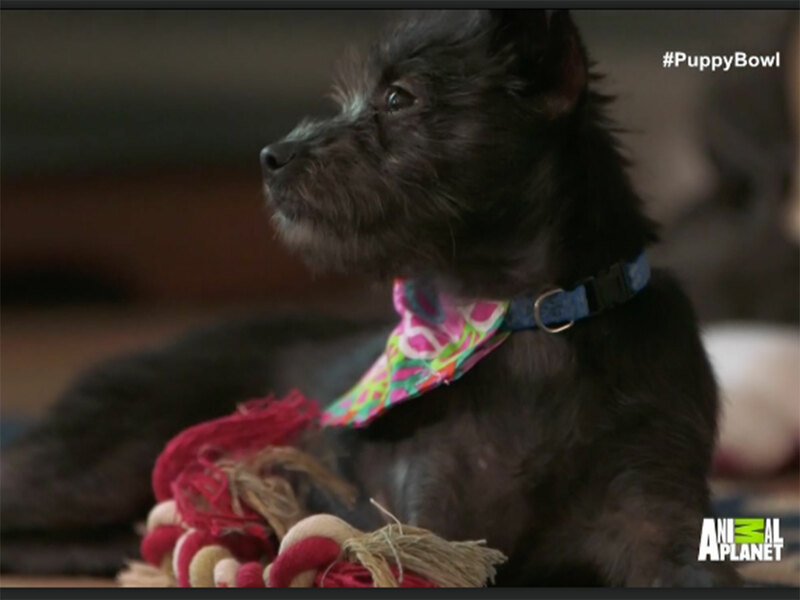 The three-legged Lucky wasn’t on the field for the beginning of the Puppy Bowl, but made her presence known when she arrived. With the support of her brother Ricky, she brought plenty of energy and excitement to Team Ruff. The rout continued for Team Fluff in the first half as Dawson scored the team’s third touchdown of the day. Team Fluff threw some blocks that would make Falcons receiver Julio Jones proud, creating open field for Dawson’s touchdown run. Rory set the tone by the end of the first quarter, showing serious speed. Taking advantage of some ruff-housing on the other side of the field, his 75-yard sprint to the end zone gave Team Fluff a 28-7 lead. 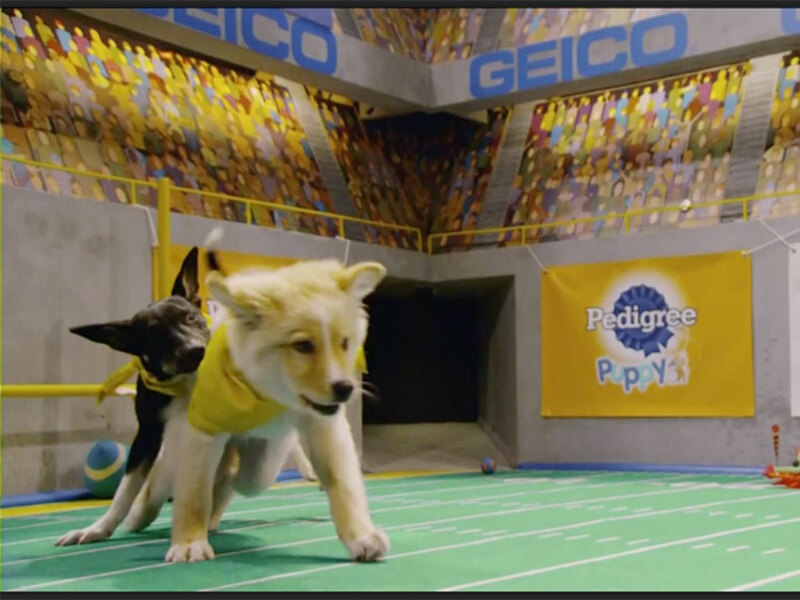 There are many ways to score in the Puppy Bowl, but Nikita’s touchdown in the second quarter was unprecedented. The Cocker Spaniel from Florida Little Dog Rescue found her way to the end zone along with one of the referee’s flags. An uncommon object to take for seven points, but an effective one nonetheless. As Team Fluff attempted to score once again in the third quarter, Team Ruff’s Daisy saved the day. At just 13 weeks, Daisy played like a veteran, taking the ball over 90 yards for a touchdown. Her score cut Team Fluff’s lead to just two scores, keeping the game close. Sporting a (vegan) meat dress, Kity Gaga wowed fans with a stirring rendition of Puparazzi. With the help of the Chicago Rock Cats, Gaga let everyone know who the true Queen of Pup is. A late addition to the competition, Blitz shined in garbage time, displaying athleticism similar to fellow golden retriever Air Bud. Blitz scored off of a turnover from five yards out, giving Team Fluff a commanding 65-31 lead late in the third quarter. Despite the blowout, Team Fluff’s Nyquist refused to let up. The Husky/Shepard Mix used all of her 42 teeth to scare away members of Team Ruff, proving to be the team’s chief enforcer. 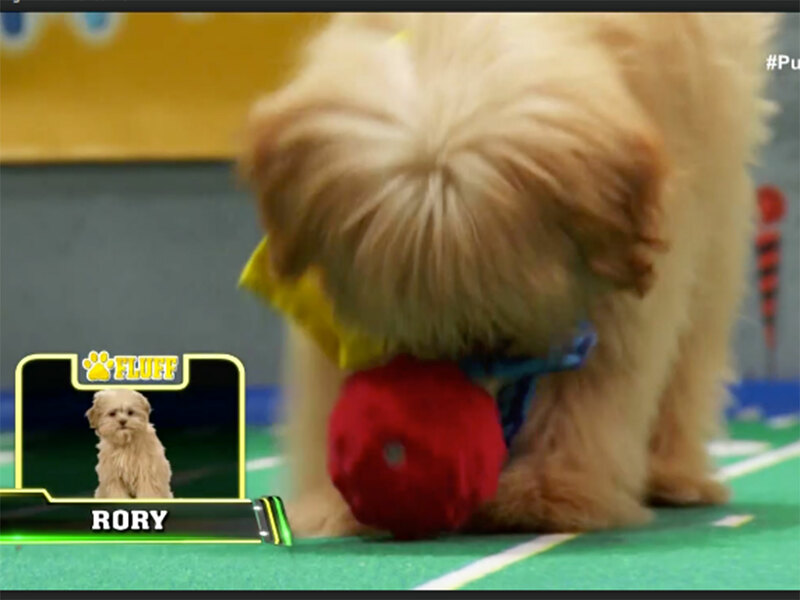 The Most Valuable Pup award was given to Rory at the conclusion of Puppy Bowl XIII. Leading Team Fluff to a 93-38 victory, he was a force to be reckoned with throughout the afternoon. Now that’s a good boy.